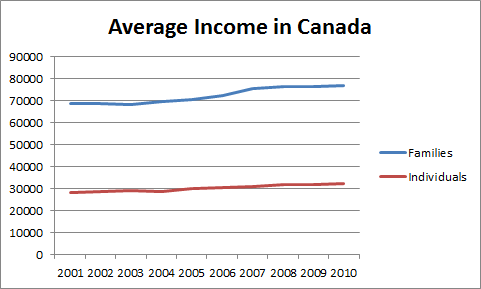 Let's forget about rising house prices for a moment, and take a look at average household income in Canada and compare it to selected housing CPI components. 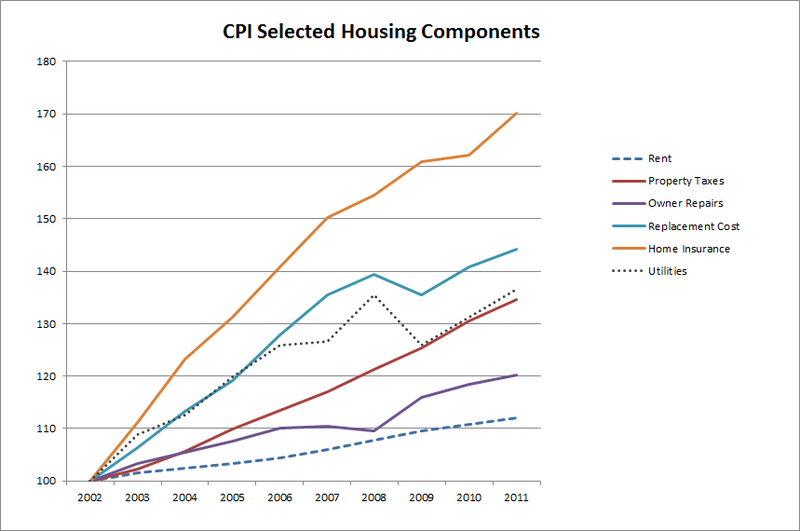 Now let's take a look at some of the components of housing CPI. For those who don't know CPI (Consumer Price Index) is measured against a base year. According to the Bank of Canada:- "The base year is currently 2002, and the basket for that year is given the value of 100. 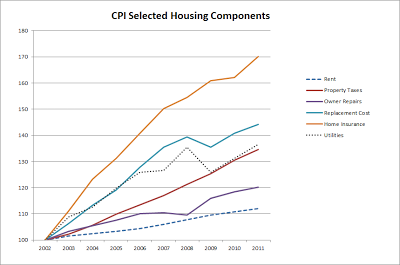 In 2011 the CPI averaged 119.9, which means that what you could buy for $100 in 2002 cost $119.90 in 2011." The first thing that pops out is home insurance - which was up by 62% from 2002 to 2010. The blue line represents the replacement cost, which was up 40.8% in eight years. The important thing to know is that the replacement cost and home insurance are directly linked, or at least they are supposed to be. You see, when someone buys home insurance the premium is based not on the market value of the home but on replacement cost. Specifically, if the house is destroyed in a fire, replacement cost represents the amount of money needed to rebuild from scratch. So when housing prices fall, don't expect your home insurance to drop. As a side note, the growing gap between the blue line (replacement cost) and the orange line (home insurance) is unjustified - the insurance industry is simply stealing money from home owners. Property taxes were rising steadily, from 2002 to 2008 they increased by 30%. Utilities were up by 31%. Finally, when it comes to rent, it was up by 10.8% over eight years. 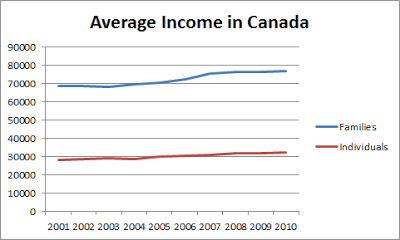 Just a reminder: the average income was up by 10.6% between 2002 and 2010. The household debt to income rate rose by approximately 30% over the eight years examined.